Since this game involves potentially touching sensitive places, use discretion in when and with what age group this game is played. It helps if the group knows one another. Therefore, if for cultural or other reasons you question the suitability of this game, it is probably best not to play it. It is, however, a great deal of fun for players who are comfortable with it. The ideal group size is around ten players, but the game works well with from seven to twenty players. The more people playing the game, the more difficult it is to unravel the Human Knot due to complexity and physical proximity. 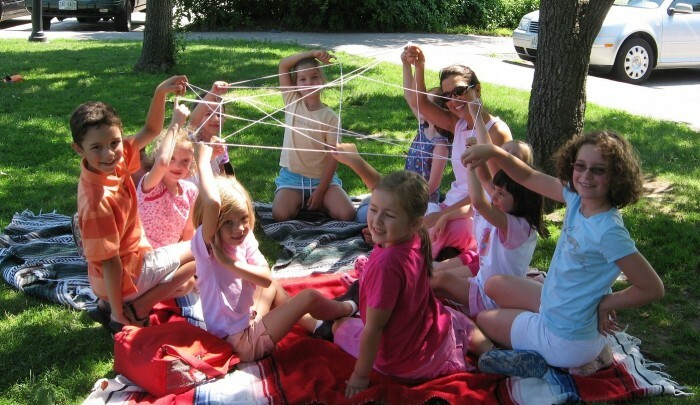 If your group is larger than twenty, divide the players into two groups to form the knots. Make sure there is plenty of space between the two groupings. When the group(s) have been formed, ask players to form a circle, shoulder-to-shoulder, urging them to stand as close as possible to subtle prepare them for close contact during the game. Have each player extend their left hand and take the left hand of another player in the group. It helps to have players introduce themselves to the person whose hand they are holding. Then have each player extend their right hand and take a different person’s hand. Have everyone introduce themselves to those whose hands they are holding. Explain to the players that they are not to let go of each other’s hands while they remain in the circle and untangle themselves. Players may change their grip to be able to move comfortably, but they are not to unclasp and re-clasp their hands, because then the circle would be broken. Initially, there may be very little progress. However, after ten minutes or so, the initial unfolding begins and then the pace speeds up. However, each game is unique, so there are also times when a very fast solution is discovered right away. If this happens, play another game as the second one should be harder. If the task seems too hard and participants seem to make almost no progress, let them struggle for about 10 minutes, and then you can allow two players only to unclasp and re-clasp. Remind the players that they need to discuss and decide what unclasp-re-clasp would be most useful. Players may be amused and laugh nervously. They may also express suspicion that untying the Human Knot is impossible. Whatever the reaction, they will at some point express amused fun. Some may view the task as embarrassing because of the close bodily contact involved. Often some group members will have done the task before, but this doesn’t really matter, because each time the task is unique. 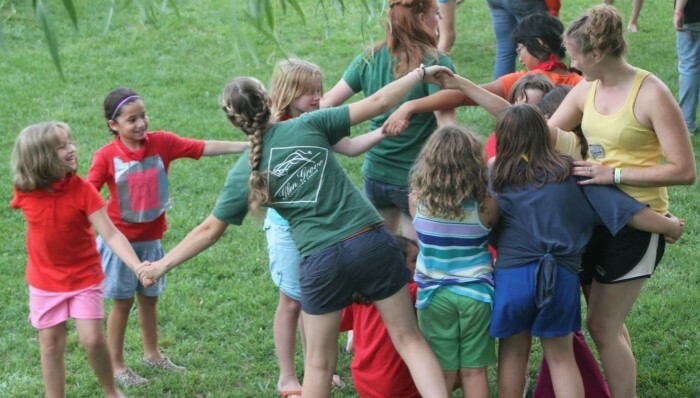 The Human Knot works well as a name-learning game. Explain that whenever the group is talking to or about someone, the person’s first name must be used. Although this usually requires supervision and reinforcement by the instructor, once enforced, this game is excellent for learning names. Additionally, it helps the group to work together and find solutions, because communication becomes more accurate when names are used. Stay at a moderate distance, allowing the group to handle the activity without feeling as if they are being too closely observed. Be ready to step in to answer questions or change the direction of the activity quickly when appropriate. Wander around the circle offering suggestions as appropriate. If you want players to use names in every communication, this may need to be reinforced. As you work with the group, there are some behaviors you may observe from the players. Some may take the lead and begin giving directions to others. You will also note that some players are not comfortable with the game. Some people find the game more difficultly due to their physical ability or body type – those who are overweight, very tall or short, or those who are not flexible. You will want to do your best to make all the players comfortable by encouraging them and helping with the solution when necessary. As the facilitator, you must do a balancing act, monitoring confidence and momentum and even allowing clasping and re-clasping when appropriate. Remember, you want the activity to be not only challenging, but fun. How well do you think the group worked together? What did you learn from this activity that can be applied in other activities? 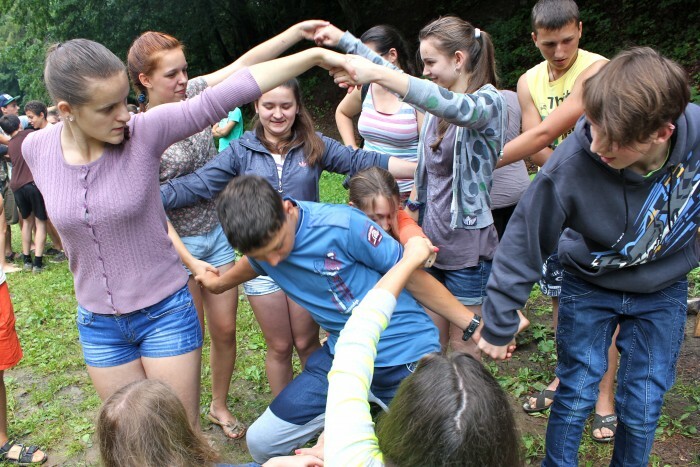 Often the Human Knot activity is used only as an icebreaker. 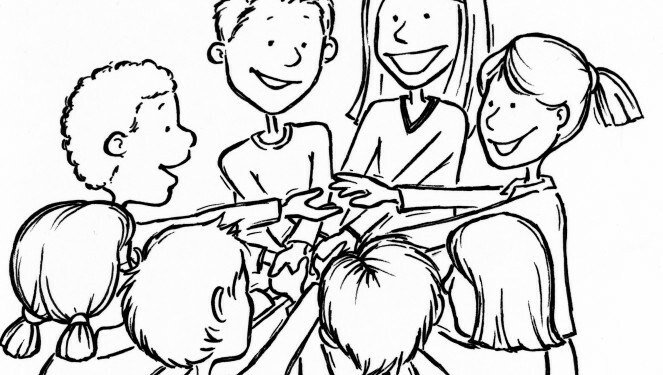 However, because it can be quite challenging, it also works well to find out how a group is able to work together. Additionally, it can be used as a team game at a party or social event. The Human Knot game provides fun for both players and observers.